Beautiful western influenced Blazin Roxx shoulder bag by MF Western Products. 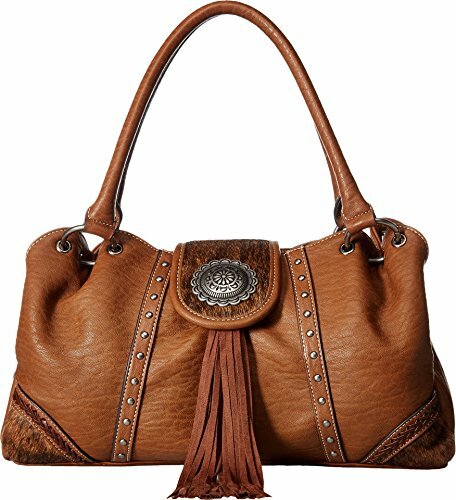 This classic bag features faux calf hair, a large silver concho, and fringe. There is also a center zipped pocket for your handgun. This shoulder bag defines the look of the true traditional western woman. Measures: 9'' x 4'' x 15''. Material: Leather. If you have any questions about this product by Blazin Roxx, contact us by completing and submitting the form below. If you are looking for a specif part number, please include it with your message.